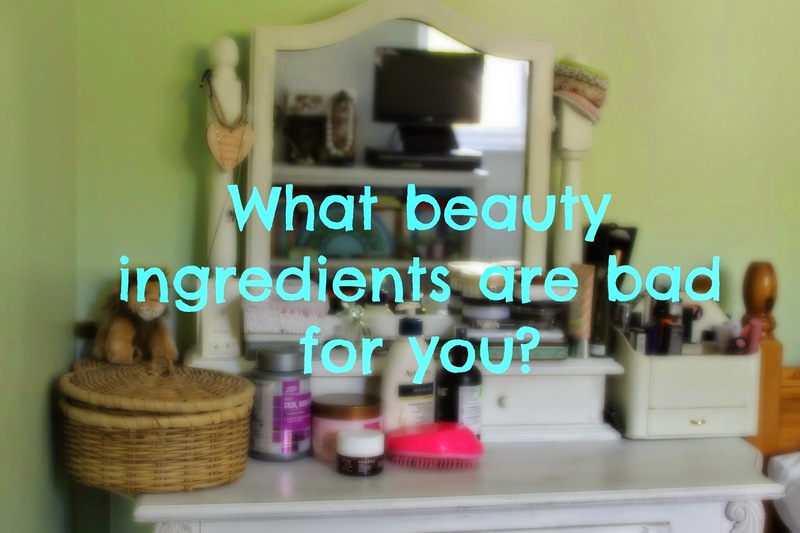 Everything But The Kitchen Sink: So what beauty ingredients are bad for you? Parabens - used to prevent bacteria growth in cosmetic products and are generally cheap and effective. This ingredient is mostly found in deodorants, soap, moisturisers and shaving creams, but studies over the years have linked to various health risks, even so, it's not a massive cause for concern. Anyways, there are tons of brands out there that are now paraben-free. Plastic Exfoliating Beads - not only are these bad for your skin, but they're also pretty rubbish for the environment. Using them in facial and body scrubs, there's now millions of plastic particles in the waters across the world. These then get eaten by fish and the fish die. Besides this, they're actually pretty rough on the skin too and can cause breakouts and irritation. So there's a few beauty ingredients to be aware of when you're next shopping in Boots. Like I say, they're not Bible, so don't take what I say word for word. Anyway, there's tons of organic and natural skincare brands out there now and sites like LoveLula and Green People have tons of information and brands to choose from. Also check out The Independent's Top 40 Organic Brands. What do you think of this? Do you use any of these ingredients?